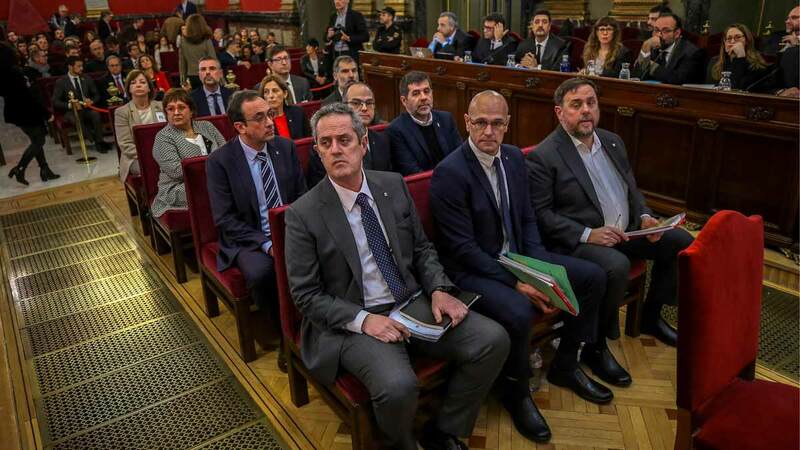 Unfair trial for Catalan politicians – Freedom for Catalonia! 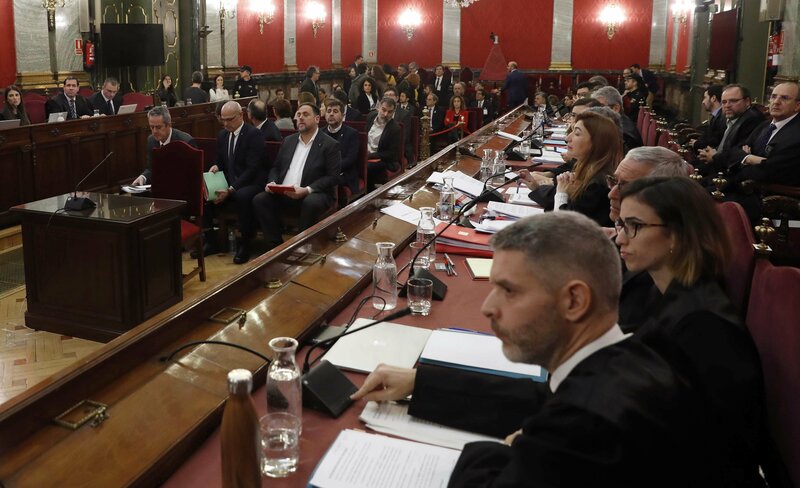 Today the trial against elected Catalan representatives has started. They have all been imprisoned without bail for a year waiting for trial, some for more, as the judges alleged potential risk of escape. While Spanish government insists the separation of powers still exists in their supposed healthy democracy, evidences have popped up that proof Catalan politicians in jail have received a degrading treatment and have not been provided with what they needed in order to prepare their defenses properly. On top of all of it, there is still the question if this trial should be happening at all. I mean, according to the defendants attorney, the arguments from both private and public accusation are false. The worst charge they are accused for is rebellion, which in the Spanish state must involve violence or at least the incitement of violence, yet none of the Catalan representatives accused have behaved violently and there is recorded evidence that they openly supported non-violent, peaceful activities. They are also accused of sedition and embezzlement of funds to promote the referendum of 2017 1st October, which actually they didn’t do either, as there is proof even from the Spanish government side that no public funds were destined to finance the referendum, and that it was economically promoted by private entities and individuals, mostly donations of the over 2 million people who support independence in Catalonia. The public prosecutor and the private accusation (let’s not forget the latter is represented mainly by extreme right party VOX, that publicly defends fascist & male chauvinistic policies) are requesting over 25 years penalty (in some cases, even over 70 years), whilst media and the rest of right wing parties have been publicly condemning Catalan political prisoners for months to the point of comparing them to terrorists or worse, using them as flag of their political campaigns, and strongly slandering their reputations as well as the image of Catalonia and Catalan people. Absolution would be the only right thing to do morally, however, seeing how things are going, we are all expecting extremely tough sentences that will inevitably force defendants attorneys to take the case to Strasbourg, while poor politicians will be kept in jail, deprived of the rights and freedom, and Catalonia will keep being plundered and oppressed.